It's not hard to see where Peaches gets its name. 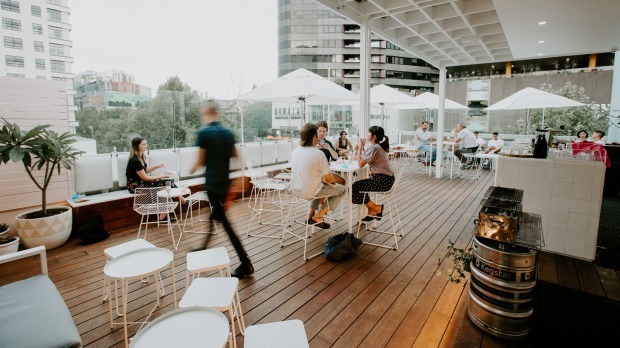 The new two-level cocktail and rooftop bar above Cheek, the Swanston Street American-style barbecue joint by Dexter's Sam and Tom Peasnell, Adam Goldblatt and new partner Jono Rowat, is a veritable fruit basket of summery good times. "We wanted to make a pretty cocktail bar; to move away from dark dive and brooding leather-couched prohibition-style cocktail bars," says Sam. "Peaches is flirty and fun." 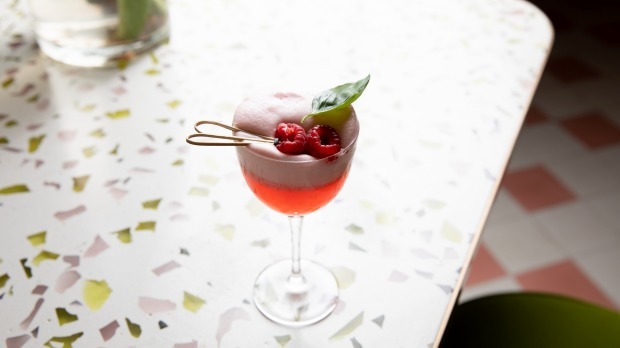 Where Cheek is all whitewashed brick and moody polished concrete, Peaches is blushing with pink suede booths and banquettes, pink tiles and pink terrazzo. And while it looks more cafe than cocktail bar, the sharp drinks list, snack menu and midnight happy hour point to its after-hours appeal. A level up is the rooftop bar. Here, you'll find a central bar pumping out spritzes, outdoor lounges and water misters cranked to combat hot nights. Food you can hold with one hand is offered on both levels. Sandwiches come stuffed with either hot fried chicken, cold poached chicken or hot tofu, plus there's sweet-and-sour cauliflower or crinkle-cut fries with a yuzukosho mayo for dunking. Normally, the sandwiches are $10 a pop, but during happy hours (noon to 2pm or noon to 2am on Friday and Saturday) you can get a sandwich or a pickleback (a whisky shot with a pickle juice chaser) for just $7. 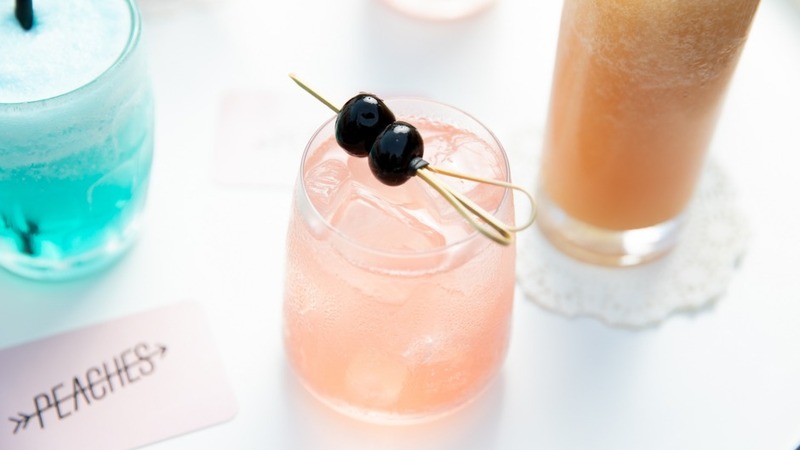 Cocktails dominate the drinks list, with lighter numbers like the Coco Jumbo – coconut tequila, mint and lime – leading into heavier, boozier options like the Laphroaig-and-vermouth laden Lucky Strike. Beers are mostly craft (in tins or on tap), and wines are mostly minimal intervention from producers like South Australia's Alpha Box & Dice or Unkel in the Yarra Valley. Open Mon-Thu 4pm-1am; Fri-Sat noon-3am.